We’ve all been there — you need extra cash toward that family vacation, the emergency situation or to fund your next new hobby — so you begin thinking about applying for a personal loan. These type of loans are often easy to apply and qualify for. Although these loans are easy to obtain — and often have amazing rates — it does not mean that they always make for the best life choices. Yes, there are times when these loans are extremely helpful. However, there are also times when signing up to take on one of these loans can be an unwise and harmful decision. So, do you really need a loan for that? Learn more about when these loans can be a positive or negative choice. Whether you’re in desperate need of some extra cash, or you simply want to take a vacation, it can seem like a great idea, at the time, to take out a personal loan. Sometimes, this isn’t the best decision. When used in the right way, these loans can empower individuals and families in need and turn around a bad financial situation. Typically, when deciding how to pay off debt or boost your credit, you may not consider taking out a loan. However, many people utilize loans to pay off what they owe. Often, APR rates are higher on a credit card than that of a personal loan. Therefore, many people use these types of loans as a way to pay down debt and save money on the interest rates they would have paid via their credit card. Along with paying off debt, some people use these loans to boost their credit. First, your credit score can be boosted when you have various types of credit listed on your credit history. For example, having a credit card and another loan may boost your score, as long as you pay them off. Additionally, adding personal loans may lower your credit utilization ratio, or the amount of total credit you’re using compared to your credit limit. Overall, if done correctly, these loans can have a positive effect on your credit and help you pay off your debt. Juggling multiple minimum payments each month and having a hard time getting ahead? Many people utilize a loan as a way to consolidate credit cards and other debt. For example, if you have various credit cards that are charged to their maximum capacity, you could use a loan to pay them off. This consolidates your credit card payments to one monthly payment. Although you should always look into other choices before doing this, it can be helpful in paying off your debt at a much lower interest rate (and sometimes even a lower monthly rate) than that of your credit cards. For many people, giving their home a much-needed makeover may not be enough justification for taking out a line of credit. But for others – such as those looking to sell or flip an investment home – it might have significant value. This is really a judgement call on your part. If you do decide to take out a loan, make sure to spend your money as wisely as possible and look into getting a rewards card in order to get the most bang for your buck. As human beings, we value growth and change. For many of us, this includes educational and professional growth. Whether this means attending a two-year or four-year college, taking a summer course, going to a professional convention or brushing up on the latest in your field through a seminar, you may feel driven to better yourself in this way. Although traditional student loans are always a possibility in assisting educational growth, they do not always have the best rates and, if the education you are seeking isn’t via a traditional university, there won’t be the option to get government financing. Since education generally garners a return on the initial investment (for example, you’ll get that raise you want), obtaining a low-interest personal loan might be a great option to help you kick-start the next chapter of your career. Professional growth is not afforded the same financial options that educational growth does. For example, you cannot access traditional student loans to cover a networking seminar, the convention of the year or the online course you’ve been wanting to take to improve your skills. This is another example of when personal loans can become a great asset. They cover the cost of your professional endeavours, allowing you to positively grow and change. Life happens. Sometimes, the unexpected occurs and you need a quick, easy solution to help cover the financial aspects of it. Whether a family member is ill and has to have an emergency surgery, an unexpected death happens and funeral costs need to be paid for, or you have to fly across the country to take care of an important matter, you may a bit of financial help. In these moments, a personal loan is an option that can be considered. While you want to ensure you aren’t borrowing in excess, in the event of a family emergency, a loan can be very helpful. As you can see, personal loans can be helpful in many aspects and in different circumstances. However, there are times when a personal loan should be strongly advised against. It may seem like a great idea at the time, but you do not want to take on unnecessary debt and struggle later on. 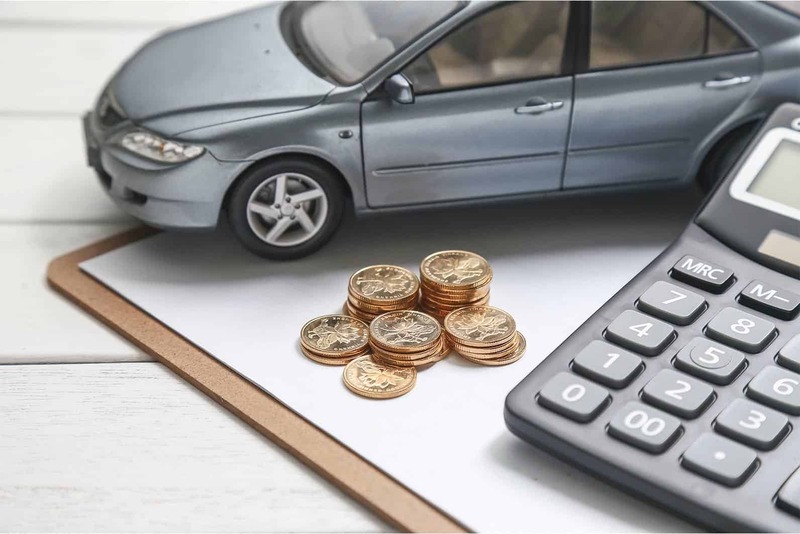 Taking out a car loan, rather than financing your car with another loan option will often allow you to save money and take advantage of lower interest rates. Are You Going to Get a Personal Loan? Are you going to get a loan? Do you really need it? Evaluate your circumstances and see if there are any other alternatives before diving in. However, if this type of loan seems to be a positive, fitting route, then go for it! Only you can truly make the best financial decision for your personal circumstances. If you’ve decided to pursue a loan to further your goals and improve your life, you can get your own personal loans here today.